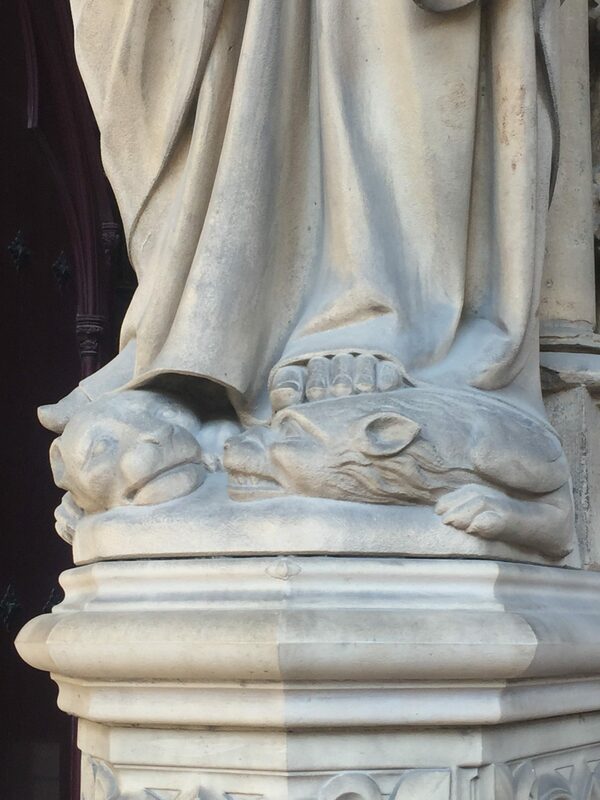 Paris: City of Love, and Toes! Mark your calendars: August 6 is National Wiggle Your Toes Dayopens a new window. Though the origin of this holiday is unknown, its purpose is to show off your toes by wearing sandals or going barefoot. Make it a sensational day by stepping into fresh cut grass or the warm sands of your favorite beach. Or...take a trip to Paris. Statue on the balcony of Saint-Chapelle. 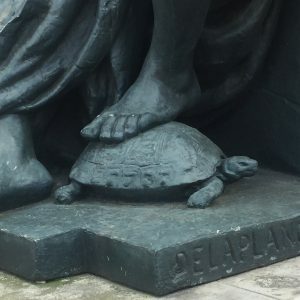 My highly eccentric guide to Paris is based on my recent trip this past April, when I found myself noticing that many of the beautiful city's statues had interesting feet. Venusopens a new window lives at the Louvreopens a new window, and you may have not noticed, but her second toes are longer than her first toes. There's been scholarly research about this on Atlas Obscuraopens a new window! Friends recommended visiting the interior of Saint-Chapelleopens a new window for its elaborate stained glass windows. 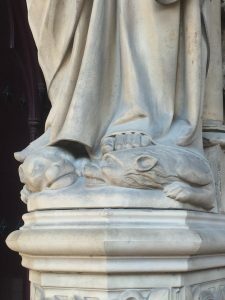 Also of note: on its balcony, one encounters a statue of an apostle standing on the heads of two toothy beasts. One of the statues at the Musée d'Orsay. At the Musée d'Orsayopens a new window, regal statues representing six continents are seated in its courtyard. One of them has her foot propped up on a turtle! In Paris, you can see three Statue of Liberty monuments (yup, same kind as the one in New York): one inside the Musée d'Orsay; another at the Musée des Arts et Métiersopens a new window; and another on the bank of the river Seineopens a new window. And if you're starting to think I'm bonkers for feet, I would argue I'm merely observant, as is the author of Her Right Footopens a new window, Dave Eggers. That's literally an entire book about the Statue of Liberty's foot! Fun fact: the illustrator of Her Right Foot is the artist who created the library's Summer Learning Challenge artwork. Lolling on the banister of the grand staircase of the Palais Garnier opera house is a barefoot statue with one foot sticking in the air, big toe curled, begging for attention. In fact, I saw another opera goer taking a photo of the toe. 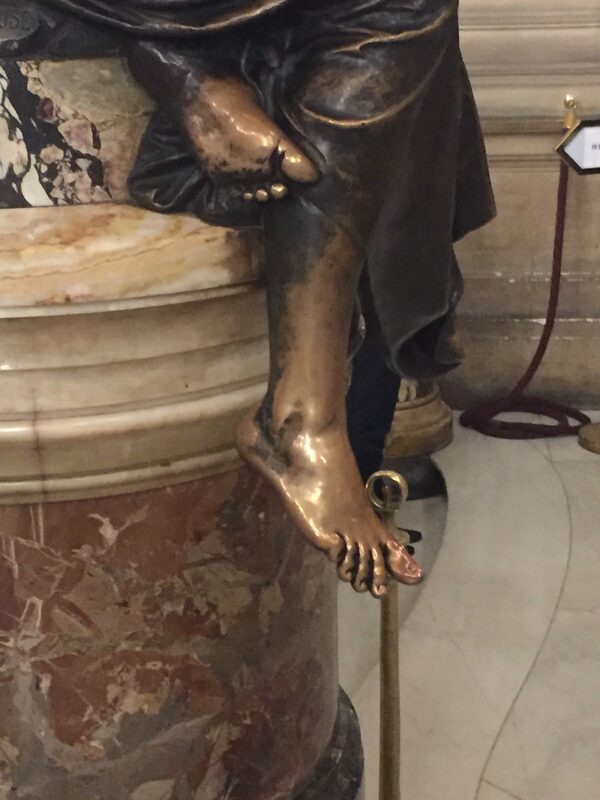 It may be the most famous toe in Paris! 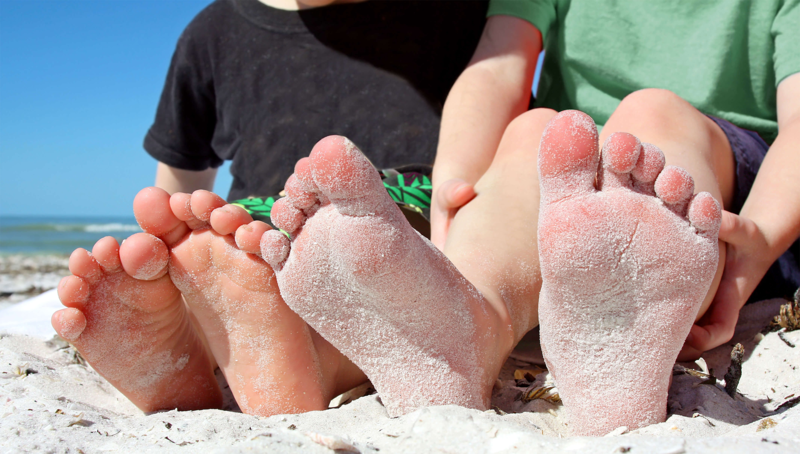 How will you celebrate National Wiggle Your Toes Day? Wanna go to Paris? Let us know below!